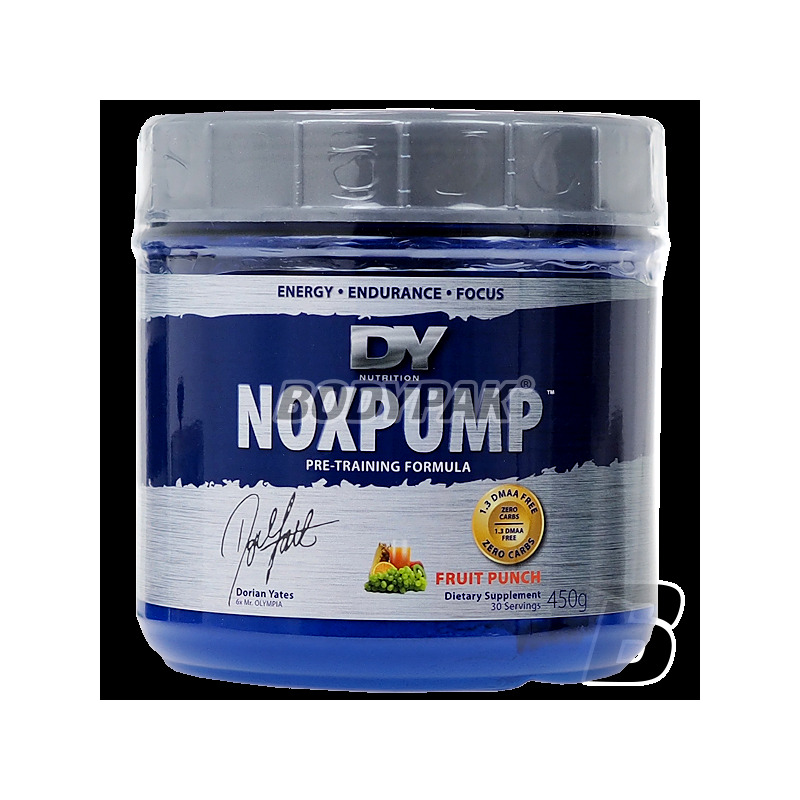 Dorian Yates Nox Pump is scientifically designed to be top-notch before a workout drink. Dorian Yates NOX PUMP - 1 sasz. Dorian Yates NOX PUMP - 30 sasz. "Cross your barriers and break the training limits. Specially designed pre-workout formula will give you the focus and the will to fight for the best training session of your life ... at every workout. "- Dorian Yates Olympia. Here are the words of a legendary man, a fighter who was not only famous for its incredible construction but also incredibly intense, almost inhumanly demanding training sessions. A man who used to say that the power of a bodybuilder is his mind, so that he can concentrate to exhaust his muscles already after one carefully controlled series of exercises. Now you have a chance to achieve a similar state of mind with Nox Pump. 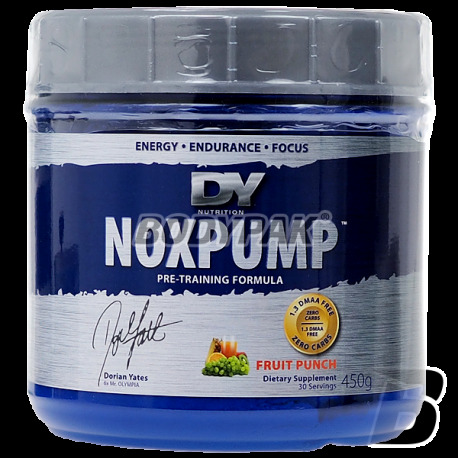 Dorian Yates' Nox Pump is scientifically designed to be top-notch before a workout drink. Contains an advanced blend of top-notch supplements such as: nitrogen boosters, amino acids, herbal extracts, and carbohydrate complexes for more training pumps, increased energy, endurance and strength. With these scientifically proven ingredients, the patented absorption enhancer is certainly the best and most advanced product of its kind. * The product may be splashed due to the hygroscopic properties of the active ingredients. In front of you pre-workout booster, which deserves to be called a legend! The product is one of the best-performing przedtreningówek, which only proves its quality. Pumping muscle, and inhibits catabolism, it acts anabolic and promotes that you can train harder and more efficiently - what more could you want?